ACE Steroids Grand Bundle, Other Virtual Synth from Le Lotus Bleu. Le Lotus Bleu has announced the release of the ACE Steroids Grand Bundle, a collection of 208 patches for the u-he's virtual modular synthesizer, ACE. ACE Steroids is said to be suitable for all kinds of musical genres and is intended to offer as many useful instruments as possible. 208 instruments, clearly organised in thematic folders. Includes Basses (22), Keys and Grooves (53), Pads & Brass & Strings (46), Leads (39), Fx & Sequences (28), Percussions (23) Guitars and plucks (8). Expressive instruments, with many real time expression features. CPU Friendly instruments, all playable on a reference PIV Single Core 3 Ghz Computer. A PDF manual including preset list, with an individual comment for each instrument, installation procedure, tips and tricks for ACE, some simple cabling examples. Separate "Asteroids" soundbanks for ACE are available as well: Asteroids 1, 2 and 3 cover different categories of instruments. 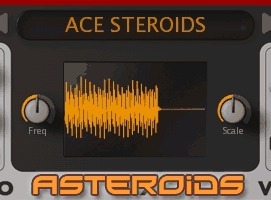 For example, Asteroids 1 includes all the Basses, Leads, Chords, Guitars and Plucks found in the ACE Steroids Grand Bundle. 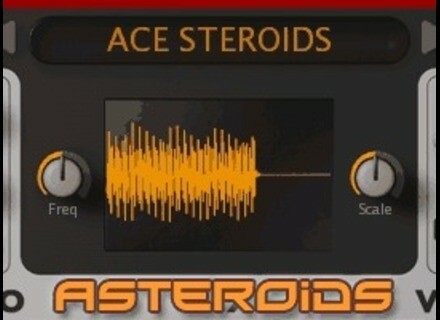 ACE Steroids Grand Bundle is available to purchase for the introductory price of €14.95 until May 21, 2010. Prices include VAT for EU customers. Mokafix Audio Mojo Cream Mokafix Audio has announced the release of a new plug-in, Mojo Cream, and version 1.3 updates for all its effect plug-ins. Tactile Sounds TS-808 Tactile Sounds has announced the release of TS-808, a software emulation of the Roland TR-808 hardware drum machine. Tekky Synths THriCe Tekky Synths has announced the release of THriCe, a new 3-oscillator synthesizer VST instrument plug-in for Windows.